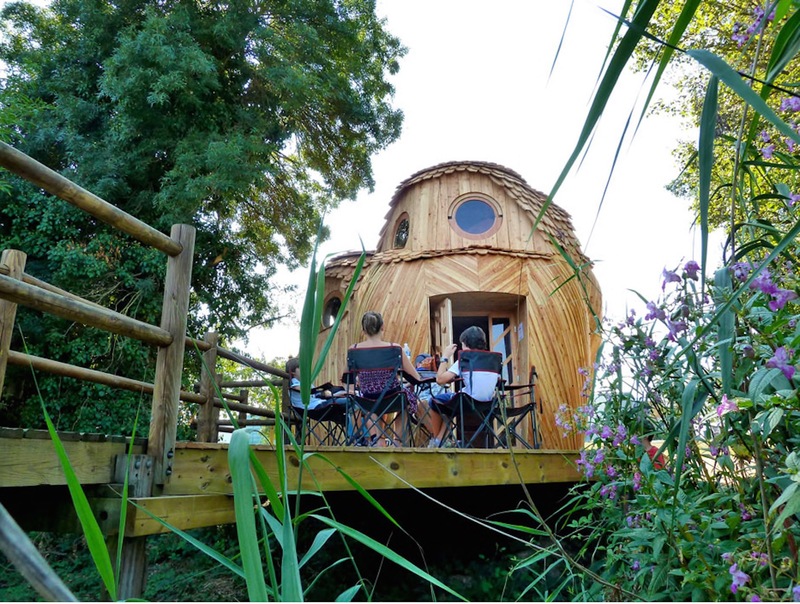 A giant trio of adorable timber owls has popped up in rural France—and you can sleep inside them for free! Perfect for summer camping in Bourdeaux, these beautiful cabins are the work of Bruit du Frigo partner Zebra3/Buy-Sellf and built as part of the Refuges Périurbains (Peri-urban shelters) in the Bordeaux region. 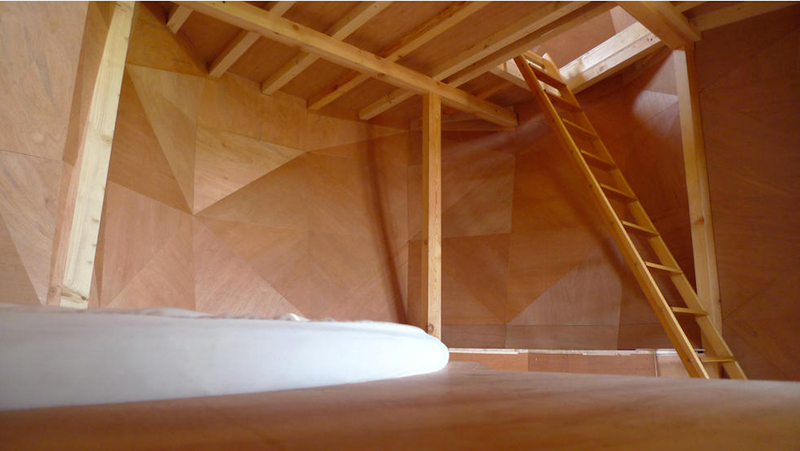 Named “Les Guetteurs” (The Watchers), this sixth unique cabin of the series is located off the grid along the edge of the city and is designed to encourage urban hiking and exploration of lesser-known sites. Zebra3/Buy-Sellf designed and built “Les Guetteurs” in the likeness of Bourdeaux’s ground-dwelling owls that live in open landscapes. 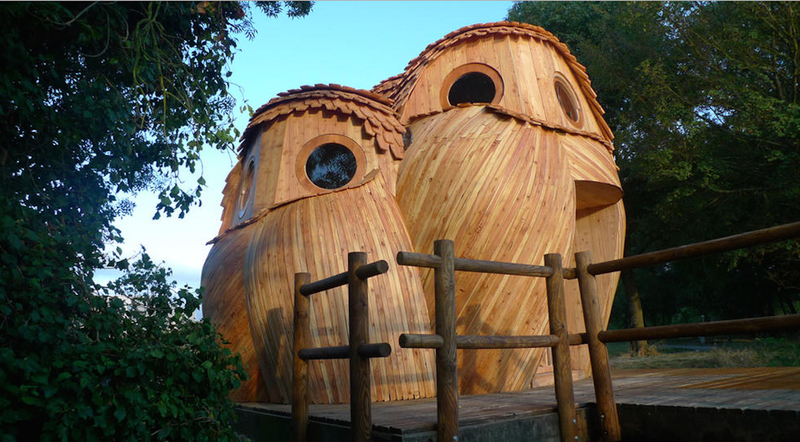 The three enchanting owls are huddled together as a single mass, creating a large cabin with three floors. The building features a circular plywood frame clad in strips of curved wood. 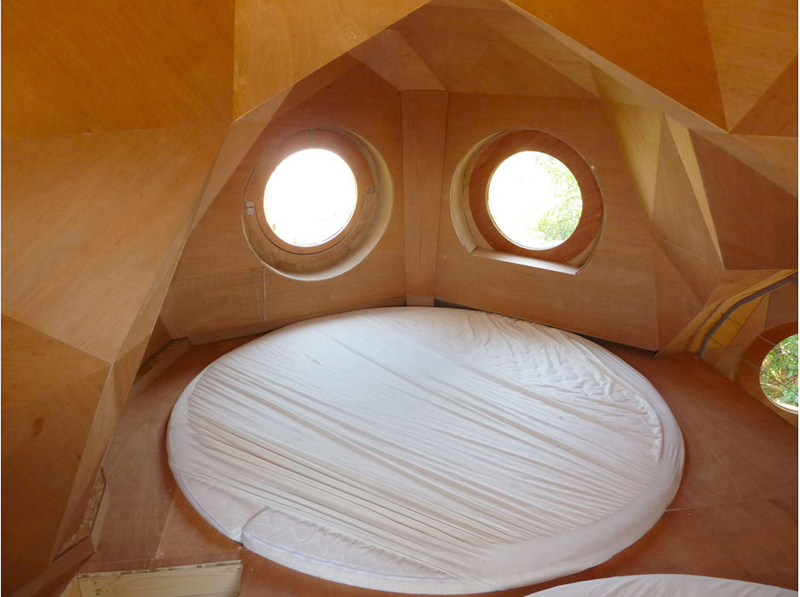 Shingles cut to look like feathers top the roof, while giant circular windows are installed for the owl’s “eyes.” The shelter is built atop a boardwalk elevated over a wetlands area. A forest-inspired glazed door opens up to a light-filled interior with faceted timber walls. Operating off-grid without running water or electricity, the cabin is fairly bare bones yet its timber palette creates a cozy environment. Circular white beds built to look like nests are located on the different levels connected via ladders. 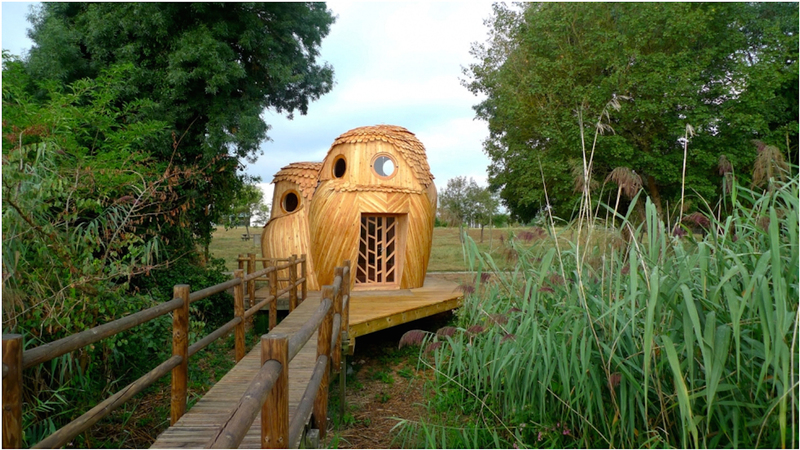 Like all of the shelters in the Refuges Périurbains project, “Les Guetteurs” can host up to nine people and helps encourage locals and visitors to reconnect with Bourdeaux’s landscape and environment. Bookings for the free lodging can be made on the Refuges Périurbains website. The building features a circular plywood frame clad in strips of curved wood. Circular white beds built to look like nests are located on the different levels connected via ladders. The shelter is built atop a boardwalk elevated over a wetlands area. Zebra3/Buy-Sellf designed and built “Les Guetteurs” in the likeness of Bourdeaux’s ground-dwelling owls that live in open landscapes.